If you have an exceptionally sleepy baby (or just have to get the show on the road once in a while), I find that you can feed on one side while you simultaneously pump on the other: Bi-lateral Pumping(at least that’s what I call it). That trick alone can save you up to a half hour per feeding and maximize your milk supply. 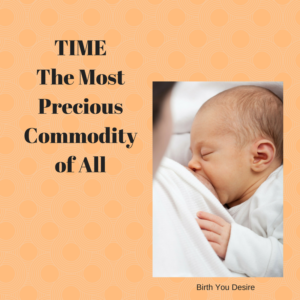 Your body will react as it you’re feeding twins (because both sides are going at the same time) and perhaps even increase supply a bit. It will also expedite your feeding and have your baby feel as though a bigger, stronger twin was on the other breast helping him or her out. Now you’ll want to feed that milk to your baby at some point (perhaps during cluster feeding time), as when I previously instructed another mom to do this, she was giddy with her new frozen stash; problem was the baby hadn’t gained any weight in a week…whoops; I should have been more clear with my instructions.